What a beautiful familiy, what an interesting experience! 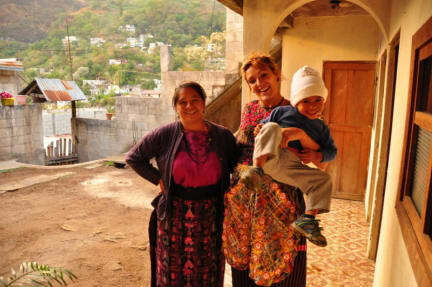 We only spend one night with a mayan familiy in San Jorge, but we had an amazing time. 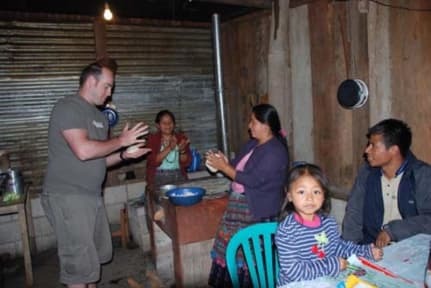 The familiy was open minded, we talked a lot, the kids were fun and they've shown us around the village. We even practiced mayan words. We got good food and a spacious room with a cozy bed. Definitely a nice stay foor everybody who is interested in the mayan culture. Before i came to that place, which is not in Panajachel itself but at the next village san jorge de laguna, i was in Antigua. To much touristy over there so i really appreciate the experience to stay at the home of the project organizer's family! I saw how they live and i tried to learn some words of their language chaqchikel. But it was hopeless for me too difficult 😂 all in all the best experience on may trip! !